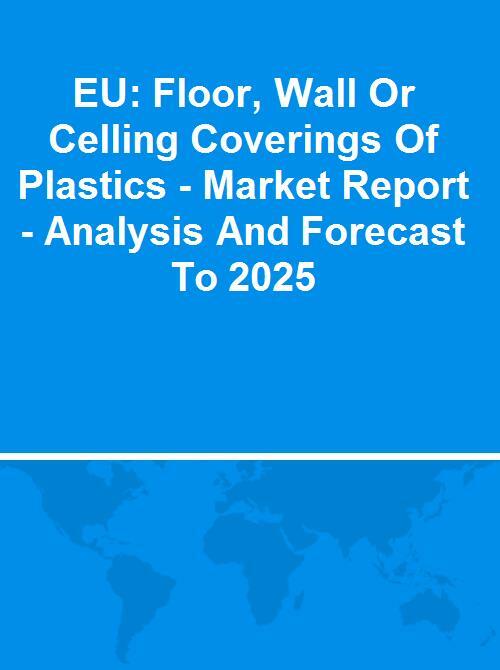 This report focuses on the EU floor, wall or ceiling plastic covering market, providing a comprehensive analysis and the most recent data on its market size and volume, EU trade, price dynamics, domestic production, and turnover in the industry. The market trends section reveals the main issues and uncertainties concerning the industry, while the medium-term outlook uncovers market prospects. The attractivity index (IB Index) summarizes the source of existing opportunities as they appear in this market, as well as an interpretation of the trade figures. Floor coverings of plastics, whether or not self-adhesive, in rolls or in the form of tiles, of polymers of vinyl chloride or of other plastics; wall or ceiling coverings of plastics of polymers of vinyl chloride or of other plastics.